Although we have our daily segment for Lumia apps, stories about WP apps in general are kept to a minimum as there would just be too much of it. But on occasion I go around that. Nokia and Aardman Animations have a great history together. With the N8, Aardman created both the smallest and largest animation (Dot and Gulp). Now they have created a game with the character, Shaun the Sheep! I’ll be demoing this asap but for now I’ll leave you with the press release. It is very well priced at £0.79, there’s not even a thought into whether I’d buy that or not. That’s a low enough price and the screenshots look good enough for me not to need to consider this a purchase (as opposed to bigger £3.99 games). This game is of a favourite genre, the running across the screen type. Aardman Digital today announces that it has partnered with Nokia to develop the first Shaun the Sheep mobile game for users of Windows phones like the Nokia Lumia 800 and 710, which launches this month for 79p. 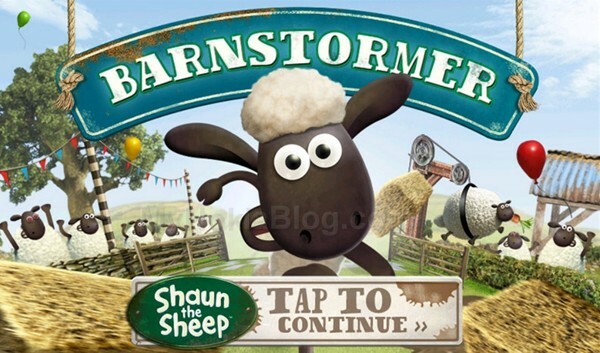 Barnstormer is a fast and furious run and jump game featuring the much-loved Aardman character Shaun the Sheep. Players race Shaun across farmyard themed tracks, littered with obstacles, against the clock. The game features a variety of jumps, boosts and power-jumps to increase speed, dodge mud, clear high stacks of hay bales and land on trampolines. Thanks Anna Harding from Aardman for the press release!